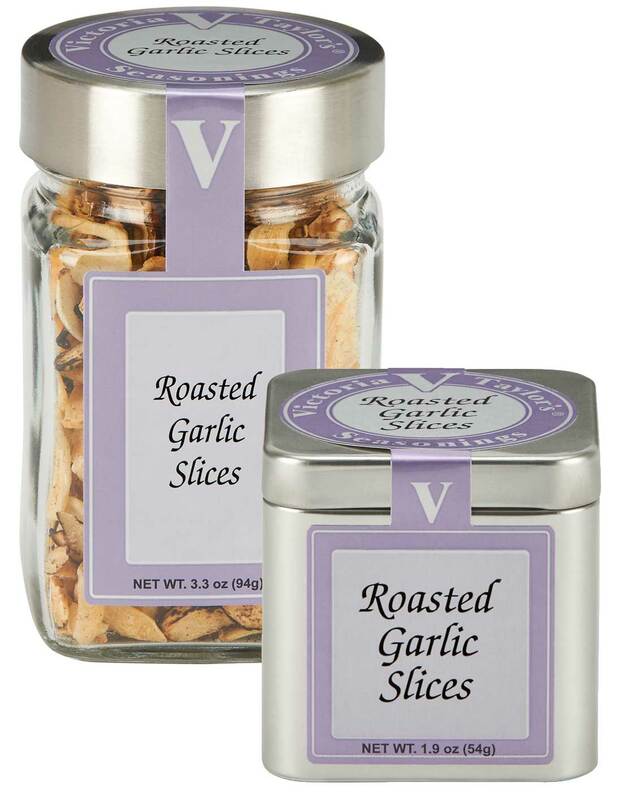 For the signature flavor and aroma of roasted garlic without the work, add Victoria Taylor's roasted garlic slices to stews, sauces, pasta recipes and dressings for that distinctively sweet, pungent taste. I recently purchased your jar of garlic flakes at a [local retailer] near us. What a wonderful seasoning. I will surely order directly from you again. Since I have found your spices I have never bought another! I first found them at [local retailer] and decided to try them. Usually gourmet spices I bought in the past were very disappointing, stale, no flavor, and poor quality, not well mixed or textured. They always had a nice package but what a disappointment, in the trash. Your stuff on the other hand, top of the line, best I ever had! Your mixes are amazing! I don't now how to cook with out them anymore. My mother and brother feel the same. I have to send it to them as gifts all the time! Keep up the great work! Your spicy friend in Florida, Ava PS. Don't ever stop drying the garlic please!